B&H has the GigaPan EPIC 100 robotic panorama mount for $429 (reg. $479) through February 10. The EPIC 100 is compatible with large point and shoot cameras, mirrorless cameras and small DSLRs up to 3lbs total weight. Check it out here at B&H Photo. Additionally, the GigaPan EPIC Pro is available for $865 (reg. $995) and can handle larger DSLRs and lens up to 10lbs total weight. Check it out here at B&H Photo. Earlier this week, Gigapan announced the upcoming availability of the new EPIC Pro robotic panoramic mount for DSLRs with an expected release date of next month. I just got word from Gigapan that the EPIC is already available and in stock. 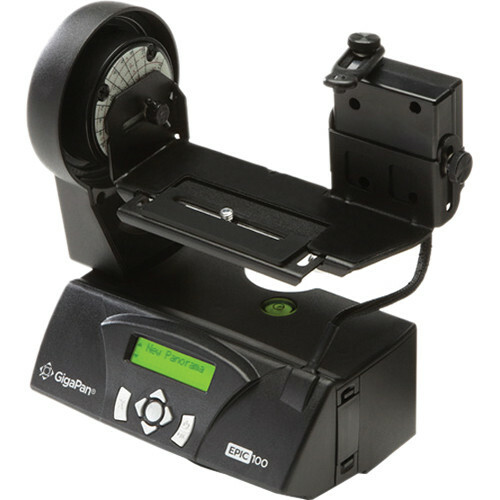 You can head on over to the Gigapan store if you’ve got one of these on your shopping list. 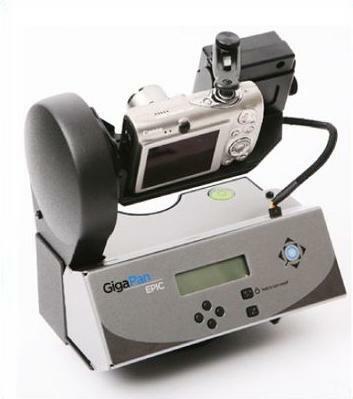 GigaPan is introducing several new EPIC robotic, panorama mounts today. If you aren’t familiar with GigaPan products, these mounts allow you to make massive multi-gigapixel images with your camera by capturing literally hundreds of images that are stitched together in post-processing software. Popular images shot with the GigaPan system include the Obama Inauguration and the 2009 World Series. The GigaPan EPIC and EPIC 100 are slated for use with point and shoot cameras and smaller DSLRs. Both models are currently available at gigapansystems.com for $349 and $449, respectively. The GigaPan EPIC Pro is designed to work with DSLRs are larger lenses with up to a 10 lbs combined weight. The EPIC Pro should be available in April 2010 for $895 from gigapansystems.com. David Bergman took a prototype version of the Gigapan Epic to the World Series Game 1 and used it to create an enormous 2,904-megapixel image from 675 photos. David explains the process that he used to capture this image with a Nikon D700 and 400mm focal length on his blog. For instance, the white band in the center of the image is from rain that came and went while capturing all those shots – the process took almost an hour. You can read about it here. Additionally, the entire image is on MLB.com, where you can zoom in to see the faces of almost every fan and player at the stadium. It’s pretty amazing that you can clearly make out Alec Baldwin sitting behind home plate (you know you’re going to check that out now…). Bergman says he plans on capturing another mega-pano with the Gigapan Epic during the World Series. Hopefully, he’ll get through it without rain next time. GigaPan, famous for the giga-pixel panoramic of President Obama’s Inauguration, has introduced its new Epic. The Epic is a robotic mount that enables you to captured amazingly detailed panoramic images with a point and shoot camera.